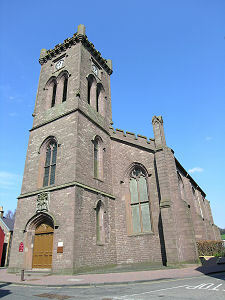 Doune lies seven miles north west of Stirling. Travellers driving along the main A84 gain only the briefest of glimpses of the village as they pass through: its centre lies a little off to the north of the road. The slight detour is well worth making. Doune's history goes back at least as far as the Romans, who probably had a fort here in the area later occupied by Doune Castle. The discovery of medical instruments suggests the Romans also had a hospital here, on the site of what is now Doune Primary School. 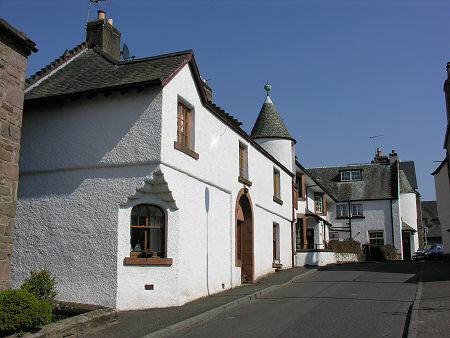 The village's more recent history owes much to the Castle in whose shadow it originally grew. 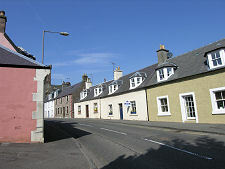 Over the years the centre of the village migrated steadily westwards, towards the line of the main drove route from the Highlands to the markets of central Scotland. 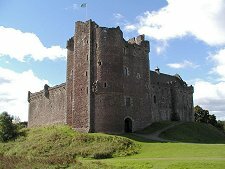 Doune Castle now stands a little apart from the village and to its east. 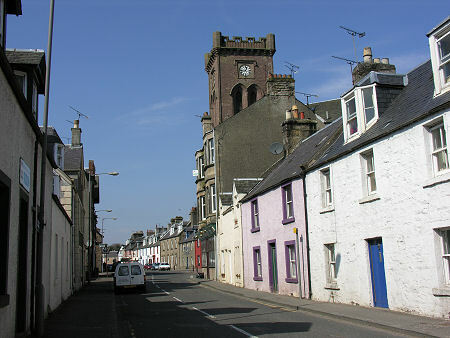 Doune's centre today is the Mercat Cross, standing in a triangular area at which the main streets intersect. 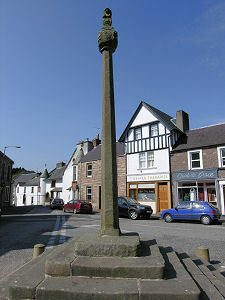 The Mercat Cross was the commercial heart of the village, and the centre of the many fairs held in Doune over the course of the year. A more grisly testament to the movement of the centre of the village can be seen from the declaration of King Charles I that public executions should take place at the Mercat Cross rather than, as before, at the Castle. 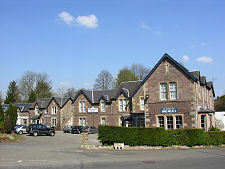 Doune is bounded to the south by the River Teith. It is crossed today by the A84 at the Bridge of Teith. This is the same bridge that was built by the royal tailor, Robert Spittal of Stirling, in 1535. There had previously been a ferry across the river at this point. The story goes that Robert Spittal wanted to cross the river one day but was a little short of cash. The ferryman refused to carry him across for less than the standard fare. It is said that Robert Spittal's subsequent building of the Bridge of Teith had less to do with his concern for the public good than his desire to do the ferryman out of a job. 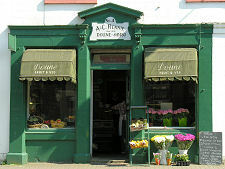 For a time, Doune became famous for the manufacture of pistols before being displaced by more highly industrialised centres like Birmingham. It is said that a pistol made in Doune fired the first shot of the American War of Independence. On the south side of the River Teith lies Deanston. This was a company village built in 1785 to house workers for the vast Adelphi cotton mill, designed by Richard Arkwright. In the early 1800s the mill provided 1000 jobs for adults and children. 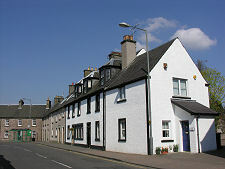 Until 1933, all workers lived either in Deanston or Doune. The mill was enlarged and updated in 1950, but closed in 1965. 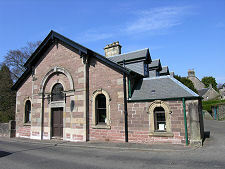 It was then converted into Deanston Distillery, with the weaving shed becoming a warehouse. 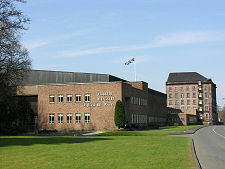 The distillery has since seen a change of ownership and a period of closure from 1982 to 1990, but it has been back in production since then. 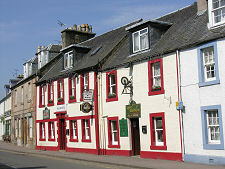 It now offers tours and an excellent visitor centre. Three miles south east of Doune, beside the B824, stands the David Stirling Memorial, also known as the SAS Memorial, commemorating Colonel Sir David Stirling, OBE, DSO, founder of the Special Air Service.